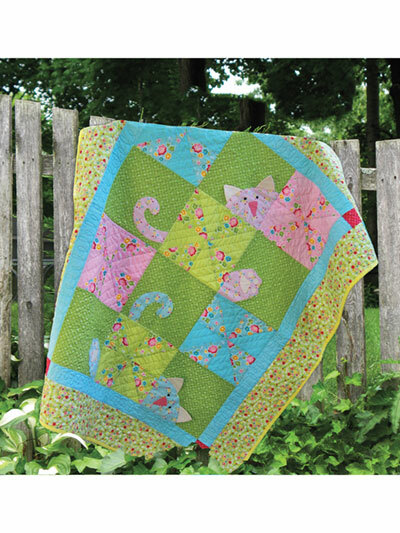 Kitty is playing peekaboo in this fun applique quilt! Traditional windmill blocks add to the charm. 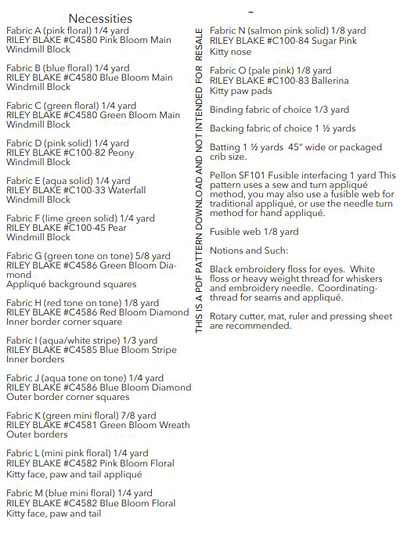 Pattern includes easy-to-follow instructions and applique templates. Finished measurements: 41" x 51". Design by Deb Grogan of The Quilt Factory.